Ms. Tomka is a Colorado native who just recently returned to Colorado after spending some time in California practicing criminal defense law. Ms. Tomka graduated from Metropolitan State College with a Bachelor of Science Degree. She majored in Criminal Justice with a minor in psychology. 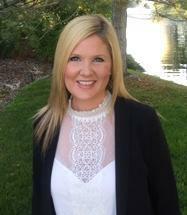 Ms. Tomka has joined our firm and will be handling family and criminal law cases. Ms. Tomka is dedicated to providing effective and efficient representation to her clients. During Ms. Tomka 's free time, she enjoys running, hiking and spending time with her family and friends.